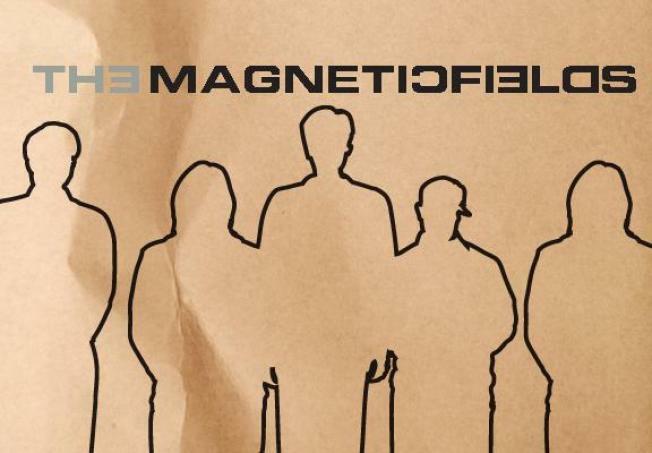 The Magnetic Fields are headed to Lisner. Stephin Merritt’s baritone is unmistakable, as is his oddity; as lead singer of the Magnetic Fields, he has skittered through some truly beautiful, glib couplets about necrophilia, sexually ambiguous children, public transportation, and cosmos (the kind in the sky, though his imbibing is another story entirely). Such a front man begs for a rapt audience, both in concert and on celluloid, and now we can finally be the latter: the long-in-the-works documentary Strange Powers: Stephin Merritt and the Magnetic Fields opens at New York’s Film Forum next week. Strange Powers follows Merritt through all the facets of his life, from performing onstage to playing with his Chihuahua, Irving Berlin, to composing music in gay bars. (Surely any one of these scene is worth the admission price alone.) The film took directors Kerthy Fix and Gail O’Hara a decade to complete—and if the trailer is any indication, Merritt was dryly nebbish and searingly self-aware for every minute of those 10 years. Merritt and the Magnetic Fields will appear alongside Fix and O’Hara at two screenings: Wednesday, October 27 and Friday, October 29 (both at 8:10pm). Tickets for these, and all, presentations are available at the Forum site now. A special prize to the first person to ask Merritt a crass, innuendo-laced question about 69 Love Songs! The prize being that he will beat you.